Role play is a fundamental part of the police selection process, and always has been. However, now, in line with the rest of the new police selection process – it’s changing! The difference between the old police search assessment and the new police assessment centre is quite substantial. This is particularly the case for the Metropolitan Police, who are trialing a brand new system. 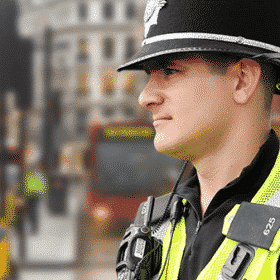 In this blog, we’ll take you through the brand-new Met police role play and what it involves. What is Met Police Role Play? Role play is a form of interactive exercise. It assesses your ability to think on the spot, and deal amicably and professionally with unhappy or difficult people. Essentially, you are given a brief of a scenario, and then 5 minutes to prepare. You then walk into a room containing one or two actors, and then required to play the role of a police constable, to deal with their situation. What’s New in the Police Role Play? So, what’s new? Well, first of all, you are now playing the role of a police constable. This was never the case in the past, where instead you would be acting in the role of a security guard or member of staff from a shopping centre. Although this doesn’t drastically change the way you will approach the role play – you still need to behave in a professional fashion – it does have some bearing on your behaviour. The new role play has also undergone a serious technological update too. During the briefing period, you will be able to use your iPad to make notes. You’ll be allowed to bring these notes into the room with you. The briefing will be delivered to you on your iPad, so you’ll need to read through the information using this device. There are two met police role play scenarios in total at the new assessment centre, and each of them will last for 10 minutes, with 5 minutes briefing for each. During the first met police role play exercise you will need to deal with one role play actor. During the second role play exercise there will be two actors, for whom you will need to resolve a dispute. First of all, in line with creating a ‘friendlier’ atmosphere, you will now get to meet the assessor prior to taking the role play exercise. This was not the case before, where you entered the room and the assessor just sat in the corner, silently marking you. Now, the assessor will greet you at the door, introduce themselves and ask you to enter the room once you’re ready. Resolving a dispute between neighbours, co-workers or other members of the public. Dealing with a member of the public who is behaving in an aggressive or threatening manner. Encouraging a young or vulnerable person to amend their behavior. The role plays are designed to be much more reflective of real life now. The actors will not hesitate to give you definitive opinions and views, which is not something they would do in the previous assessment centre. For example, if you asked the actor in the previous assessment centre whether they’ve found your advice helpful/it resolves their problem, they might give you a vague response. Now, the actor will say words to the effect of ‘No that didn’t help, you’re useless!’ or ‘Yes, you’ve been of great help’. If the former, then you’ll be expected to come up with alternative solutions or ways of resolving the problem, or at the very least exploring why the actor feels that way. STEP 1. Introduce yourself to the role actor and ask him/her how you can help them. Remember to be polite and respectful and treat the role play actor in a sensitive and supportive manner. STEP 3. Clarify the information received to check you have understood exactly what has happened. STEP 4. Provide a suitable solution to the problem or situation and tell the role play actor what you intend to do. (Remember to use keywords and phrases from the core competencies). In regards to the solutions that you come up with, you will be expected to use common sense to work around the problems. You will also be expected to demonstrate emotional awareness and persuasive techniques, to get the actor to cooperate with you. The assessor will also focus on elements such as body language – which is an important part of communication. You need to treat this situation as you would a real-life scenario. When it comes to scoring on this assessment, the assessor will score you based on how well you have demonstrated the core competencies and values. You will be given a score from 1-5, with 5 being the highest, on each competency/value.